So while we're all waiting, check out this new text that explains how terrorists can use any encrypted messaging app and what all of us can do about this. 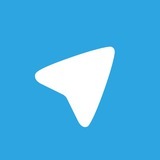 A big update is coming to Telegram soon. It is currently delayed because Apple is keeping the iOS version "In review" – it's been stuck in this state for more than 10 days.